A classic comedy of manners, this film is an old-school battle between prim and proper British sensibilities and American over-familiarity. 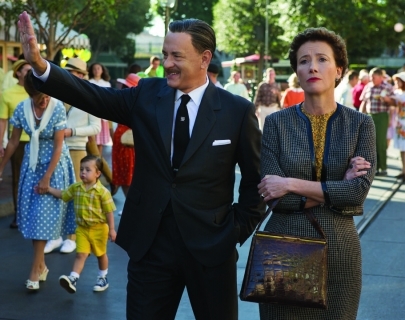 Tom Hanks and Emma Thompson deliver wonderful performances as Walt Disney and writer P.L. Travers in this account of their relationship during production of the Mary Poppins movie. Protective of her literary creation, Travers travels to America at the request of Disney, who charms her into begrudgingly selling the rights to her book. As production begins to move forward, Travers soon finds herself affronted by the attempts of the American team to “jazz up” her much-loved character, and she begins to dig her heels in as the movie moves beyond her control.